Mike Dargas was born in 1983 in Cologne, Germany. Alongside his first drawings, he started making paintings with oil paint from a young age, which he was selling to friends of his mother. At age eleven, Mike Dargas exhibited his talent publicly, drawing old masters paintings with pastel and chalk on the pavement in front of the Cologne cathedral. He then got accepted in an art school, from which he graduated after a year and a half, the only child in a class of adults. There, he learnt different techniques, and received a training that led him to master three dimensional arts, like wooden sculptures. In his early twenties, he built himself a solid reputation in the tattoo scene and won numerous prizes and awards. Inspired by artists such as Dali, Caravaggio and HR Giger, Mike Dargas studied various techniques and since his youth developed a passion for realism, which he narrowed down over the years to hyperrealism. The extremely precise technique with oil paint gives, like a photography, a snapshot of the moment. The artist studies his subjects with such intensity, that each portrait pictures a profile of increasing intimate closeness. In his portraits, Mike Dargas is not limited to certain types. He paints young and old, beautiful and dark, fragile and strong people. They are lost in their thoughts, show inner conflict or convey a unique or even holy calmness. The perfection of his technique serves his goal to tend towards the perfect image, reaching for the soul within each single one. 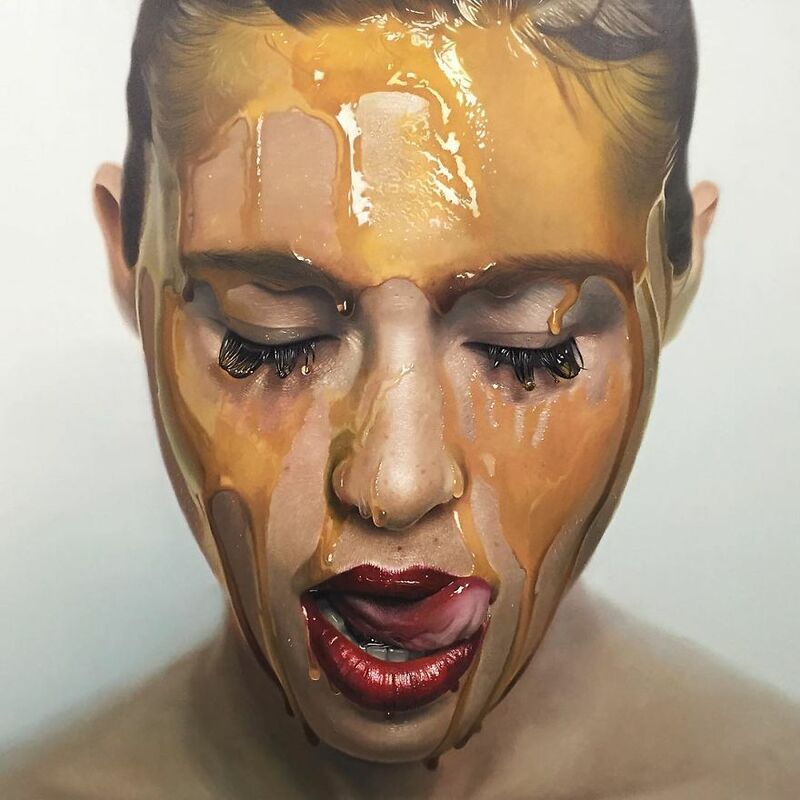 Through his works, Mike Dargas challenges us to take a closer look, to understand the nature of human being and to question our own emotional perception.